It’s been a whole year (sort of) since our last interview with a World’s Collider contributor. So it’s about time we had another one! Today’s SWF (Startlingly Witty Fictioneer) is Richard Wright, author of dark stories, explorer of distant lands and the man charged with writing the penultimate story in the collection (unless I decide to move it on a whim so he has to rewrite the whole thing). Elise Hattersley takes up permanent residence as our incumbent inquisitor. She asks Rick about his technique, his preferred length and his rapid expansion. And then she asks him about writing. Rick once misheard the phrase "Large Hadron" and swore blind it was just the way he was sitting..
What’s your creative process like – do you have a strict routine or do you just go with the flow and hope for the best? It’s much more structured these days than it used to be – that’s what life does. My time is much more limited than when I started writing (day job, family, etc), which means that I have to make the best possible use of it. This year, I finally seem to have hit a routine that works for me, after years trying different things. I get up early to do some exercise, usually a run through Delhi streets among the street dogs and monkeys, then get the day job over with. When I get home, I hide away for a couple of hours, and that’s when I get the writing done. The rest of my evening involves feeding the family – cooking is my second hobby, I suppose – and winding down ready to do it all over again. Weekends, I get more time at the keyboard, and edit up the week’s work. That’s the nuts and bolts which lets the writing happen. In terms of the much harder to define ‘creative process’, I’ve learned the importance of structuring before you start. I won’t start a short story without a tight idea of what happens and when. I’m not that different with novels, except I’m happier just knowing the big beats – way stations in the story that I have to aim for, and that will take me to the end. That still gives me room to play along the way. Plotting stories before I start writing them saves me wasting time with false starts, running out of steam, following plot strands that aren’t going anywhere, and so forth. I know lots of writers like to dive into a book on a wing and a prayer, but honestly, who has time for all that scrabbling about? In addition to your short-story writing, you’ve written novels in the past. Which do you prefer? It depends how you phrase the question, I suppose. Short stories appeal because they give the satisfaction of finishing something in a relatively short space of time. They’re also a great way to get ideas out of your head that are never going to amount to a long piece of fiction, but which won’t leave you alone until you do something with them. Those ideas can be distracting, when you’re trying to get other things done. Trapping them on paper clears them out of the way. That said, as a writer, I enjoy writing novellas and novels more. With short stories, I always feel the compulsion to get to the point, sometimes at the expense of interesting sidelines and avenues that get brutally cast aside. With a novel, the same drive is there (there has to be a point, somewhere down the line), but I’ve more chance to explore situations and ideas along the way. I like having room to breathe and play. Are there differences in your approach to either one? What are they? These days, I won’t start a short story until I’ve a reasonably detailed idea of how it plays out, beginning to end. I’m my own worst enemy, because left to my own devices I can just keep writing. Without a detailed map, I find it difficult to know when I’m done. Even with a detailed map, I can go astray. ‘Twitchers’, my story for World’s Collider, started with a detailed pitch, and an estimated word count of 5000 words or so. First draft? 9500 words, way too long, and editing it into something lean and effective has been agony (and put me over deadline – sorry troops!). Making Fin and Scott stop talking and do stuff took a fair bit of work. It was worth the effort, I hope. I certainly like the result. I’ve just finished Cuckoo, in which a main character is a bit of a plonker. Is there a reason you chose to write a hero with serious character flaws? I wanted to write an ‘everyman’ protagonist. A lot of writers do, usually as an effective way to engage the reader. If the reader can put themselves in a character’s shoes, you’re halfway to delivering an immersive story. That wasn’t quite what I was trying to achieve with Cuckoo, though. Very often, the everyman in horror fiction isn’t reflective of what people are, but rather what they would prefer to be. They’re aspirational characters, a bit more decent, a bit braver, a bit more capable than we are. They might have a few well observed flaws, enough to humanize them, but these are set against some finer character traits when the chips are down. Nothing wrong with that, but I was bored reading it by the time I started Cuckoo, and certainly didn’t want to write it (I was young, and reactionary!). Instead, I wanted to create somebody I recognized from the suburbia of my own youth, a man who might consider himself decent, but who doesn’t bear up to scrutiny. I grew up in the eighties, in a small town with many closet racists and homophobes who would never recognize themselves in that way. Greg is based on that. He doesn’t think he’s homophobic, but because homosexuality isn’t part of his world he doesn’t really have to confront his feelings about it. It’s out of sight, out of mind. He’s having a crude extra-marital affair, but rushes to create justifications that allow him to feel he’s somehow different than other people doing the same thing. And he’d still condemn his neighbour for doing exactly as he is. Lots of people play this game, though the scale of it varies hugely. Sometimes, the only way to live with what you are is to pretend to yourself that that you’re something else entirely. It’s not comfortable to acknowledge, but that doesn’t make it less true. So, Greg is an attempt to build a character who really is an everyman – self-delusional, small-minded, and trapped in his own self-defined little world. It made it all the more fun (as the writer) to rip those layers away and make him look at himself properly. Did you ever worry that your readers might not be able to identify with such a character? You’re doing pretty well, in terms of making a name for yourself. Are you hoping to expand into other media in the future? Thanks for saying so – although alongside some of the writers in World’s Collider, I feel like the tiny fish I am! I hate to speculate about the future – as with most writers, I’m fundamentally opportunistic, and will play the opportunities that come my way. I have a couple of pitches being considered at publishers that I hope will turn into commissions, but it’s never a good idea to bank on these things. For now, my goals are just to catch up on some short stories, and finish the novel I’m writing. Later this year there will be at least one new book published (not the one I’m working on now), and I can always hope for more. In terms of other media, there’s a play I desperately want to write, if I can squeeze it in. My first love is theatre, but I’ve been away from it a very long time. Last year, out of the blue, a play I helped translate from the original Romanian (Polonius, by Victor Cilinca) was published in paperback in the US by Borgo Press, and that got me thinking of ideas I have that might work better on a stage than a page. 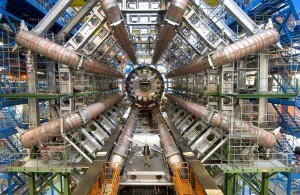 What attracted you to the concept behind World’s Collider? Without wishing to appear obsequious, Richard Salter did. My sole contribution to the Doctor Who canon came when Richard commissioned my story ‘Lonely’ for his anthology Short Trips: Transmissions. It’s a fabulous book, and though not as linear as World’s Collider, it builds on its themes story after story, until the whole book unifies with the closing tale. The book’s often cited by readers as being among the best of the Short Trips range, and Richard’s skills as a commissioning editor are the reason why it’s so well regarded. When the chance arose to pitch for a new shared world project with Richard at the helm, it was a bit of a no-brainer. If anybody can pull this off successfully, it’s going to be him. How did you adapt to the collaborative way of working? After some initial chatter, I shut up and listened. ‘Twitchers’ is placed close to the end of the sequence of stories (at the moment, it’s the penultimate yarn, though that can always change), and that means there’s a lot that has gone before, that needs staying on top of. There are some great writers and stories in the book, and I’d hate to be the one who drops the ball, so close to the end. I’ve probably jinxed myself, just pointing that out. Is this something you’d be interested in doing again sometime? Absolutely – it’s been a blast. ‘Twitchers’ turned out to be a real challenge to write, partly because of its position in the book, and though it spent weeks kicking my behind, that makes the final story all the more satisfying. In addition, writing fiction isn’t often a team sport, for very good reasons. Occasionally though, when an opportunity like this comes along, its worth diving in just for that sense of camaraderie that comes from everyone pulling together towards a single goal. I’ve been lucky – this is the second project where I’ve been able to collaborate on a shared world (I also helped develop Hiram Grange for Shroud Publishing, and wrote the fifth in a five book novella series about the character), and though the approach has been a little different, it’s been just as thrilling watching something I’m part of coming together. If you had to choose a science-fiction novel’s universe to live in… Which novel would it be? Not science fiction, but I would wish to live in Victorian London, conditional on being able to take a room at 221 Baker Street(perhaps 221C would be available). As well as the adventures implicit in the locale, Sherlock Holmes and John Watson have one of the warmest relationships in fiction. I miss them, when I revisit their tales and come to the final stories, so a chance to spend more time in their company would be greatly appreciated. Get to know Rick and his work better by visiting his website and liking him on Facebook.